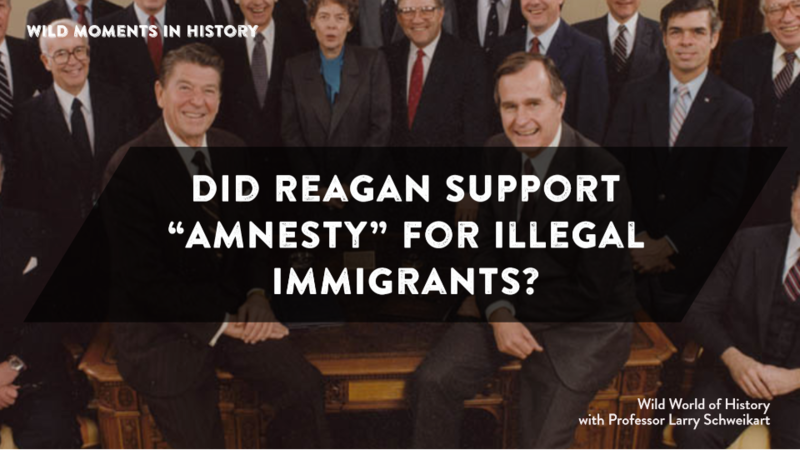 Did you know it was Ronald Reagan who suggested amnesty in the 1986 Simpson-Mazzoli immigration compromise? Ronald Reagan was one of our greatest presidents, but even he was not perfect. His agreement with the 1986-Simpson Mazzoli Bill, known as the Immigration Reform and Control Act of 1986, has often been portrayed as an instance in which The Gipper was bamboozled by Democrats, who got amnesty for 3 million people (whom they saw as future Democrat voters) in return for restrictions on hiring illegals by employers. The act did nothing to stem the tide of illegal immigration, and perhaps may have accelerated it. So why did Reagan sign it? When Dutch came into office, he was concerned about Jimmy Carter’s ongoing problems with Cubans from the Mariel Boatlift and with an influx of Haitians. The Cubans, mostly criminals form Fidel Castro’s jails, were being held at Fort Chaffee, Arkansas, where Governor Frank White, who had just switched from Democrat to Republican, lobbied his administration to relieve him of the Cubans. From 1981 on, Reagan’s team began working on an immigration bill Congress could pass, including penalties on employers for hiring known illegal aliens. When in 1986 the final bill, known as Simpson-Mazzoli for its authors, Republican Alan Simpson and Democrat Romano Mazzoli, was presented to Reagan, he signed it. Surprisingly, the news media was outraged that the bill would not crack down harder on illegals. “Card tricks,” the Washington Post called it. “A haven for illegal aliens,” is how the Chicago Tribune described the bill. In other words, the press then was 180 degrees from where they are today.